Marine Services: Environmental Protection & Preservation - Global Diving & Salvage, Inc.
We’re called Global Diving & Salvage but there’s much more to us than what’s in our name. Global offers expansive services beyond diving and salvage work, including environmental marine services. Our people, experience, and proven track record make us the top provider of marine services on the West Coast, with environmental crews based in Washington and California. 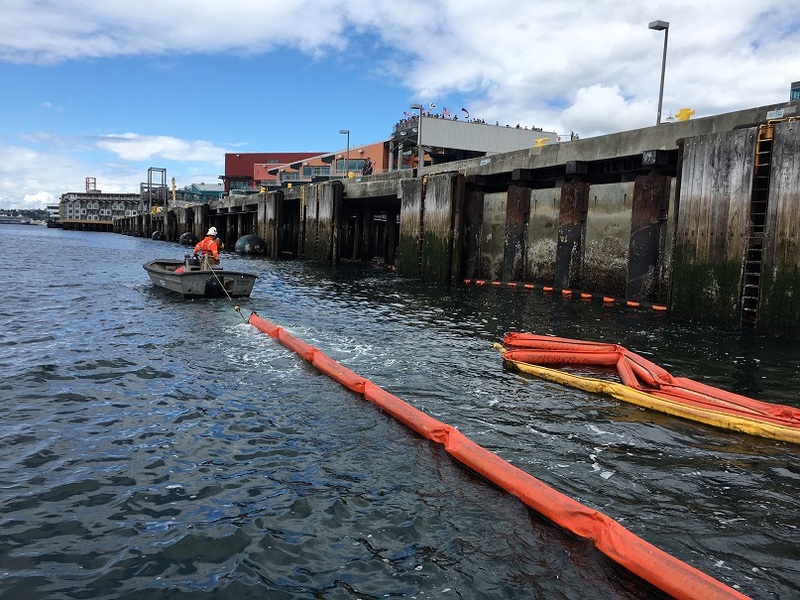 We have a wide variety of environmental experience; including emergency oil spill response, derelict vessel reclamation, shoreline cleanup and waterfront services. We’re an approved Washington Primary Response Contractor and we maintain relationships with state and federal agencies, including the Coast Guard, Department of Ecology and Environmental Protection Agency. Global also maintains an Oil Spill Response Organization (OSRO) rating with the California Department of Fish and Wildlife Office of Spill Prevention and Response. All of our marine services personnel are Transportation Worker Identification Credential (TWIC) compliant and hold current licenses and endorsements. That means we can go anywhere, anytime to help. That flexibility falls on our environmental staff, too. There’s no such thing as a normal schedule when you work in marine services.